Nairobi, Kenya – An American businessman was identified as one of at least 14 people killed in the terrorist attack on an upscale hotel complex in Nairobi. 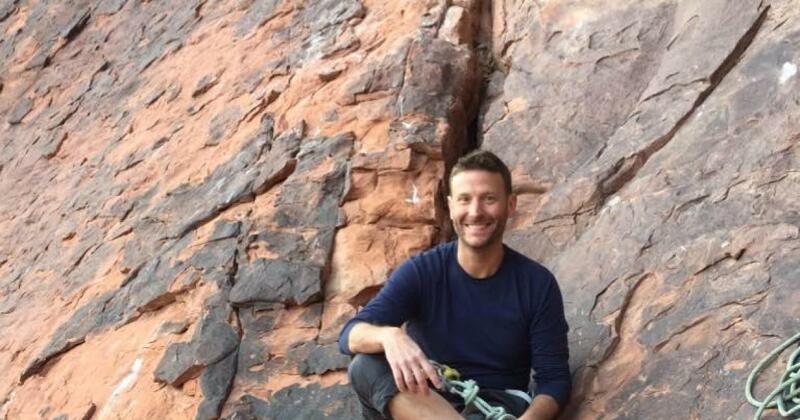 Jason Spindler, the director of a corporate development company based in the Kenyan capital, was killed in a Tuesday attack, according to officials in Kenya. His family and friends also talked about his death. Spindler's friend Chris Schroeder recalled in a Facebook post to him as "one of those rare men who were loved by just about everyone he touched in Kenya and around the world." Schroeder said Spindler, "chose a life of hope and inclusion, I am grateful to have known and learned from him." 1, 2001, a terrorist attack on the World Trade Center in New York, where he lived and worked. The US Department of State has confirmed that among the Americans killed is an American citizen, but has not officially released the identity of the victim on Wednesday. CBS News saw at least one representative of the US Embassy in the morgue in Nairobi on Wednesday. The Kenyan president said Wednesday that security forces had killed the Islamic extremist armed men, their attack on the luxury hotel and shopping complex has demanded 14 "innocent lives". "Go Back to Work Without Fear"
"All terrorists have been eliminated," said President Uhuru Kenyatta as he announced the completion of the operation to secure the complex in Nairobi. In a televised address, Kenyatta did not say how many assailants were involved. He said more than 700 people were evacuated during the security operation, and he called on Kenyans to "return to work without fear". The East African country was safe for citizens and visitors. Hours before Kenyatta spoke, sporadic shots could be fired from the scene after numerous people had been rescued at dawn and described by the police as a "wiping exercise." The attack involved at least four armed men who had entered the hotel and the shops. Al-Shabab – Somalia-based extremist group allied with al-Qaida – took responsibility for the slaughter at the DusitD2 hotel complex, which includes bars, restaurants, offices and banks, and is located in Nairobi's affluent Westlands district, which is visited by foreigners. Al-Shabab carried out the attack in 2013 in the nearby Westgate Mall in Nairobi, where 67 people were killed. The authorities sent special forces into the hotel to flush out the gunmen. On Wednesday, Kenya's Interior Ministry announced in a tweet that all buildings are secure and no further threat exists. At dawn, another explosion and shots were heard. "God be the glory, we were saved, over 50 people in my group, no injuries," tweeted a Kenyan businesswoman, Aggie Asiimwe Konde. Lucy Wanjiru describes the ordeal and said she tried to escape when she saw a woman on the ground floor being shot. Wanjiru ended up in a washroom with several other frightened people. Her friend Cynthia Kibe stayed in contact with her overnight. A terrorist attack breaks out in Kenya's capital. "I think I panicked when she told me the shots are next to her," Kibe said. "I had to keep telling her" Just wait, help is on the way, they are almost there, they are almost there. "And then at one point, she said," Please tell me, I'm coming out alive, "and then it was just like my breaking point." Kenya's Citizen TV broadcast surveillance cameras that showed at least four heavily armed men in a dark, paramilitary equipment. The coordinated attack began with an explosion that attacked three vehicles in front of a bank and a suicide bombing in the hotel lobby, which severely injured a number of guests, said Kenyan National Police chief Joseph Boinnet. The Kenyan hospitals requested blood donations, although the number of wounded remained unclear. The Associated Press video from the hotel showed Kenyan security officials ransacking the building and frightened workers appeared while gunfire was still appearing. Some climbed out of the window with a ladder. A man stood up from the ground, where he seemed to hide under a wooden paneling, and then showed his ID. Like the attack on the Westgate Mall, this attack seemed to be aimed at affluent Kenyans and foreigners. It came one day after a judge ruled that three men had to stand trial in connection with the siege of the Westgate Mall. Al-Shabab has vowed revenge against Kenya for sending troops to Somalia since 2011 to fight there The day after al-Shabab extremists attacked a Kenyan military base in Somalia and killed numerous people. The group has killed hundreds of people in Kenya. In the most deadly attack, al-Shabab took responsibility for an attack on Garissa University in Kenya in 2015, which killed 147 people, mostly students. The latest carnage showed that Al-Shabab, despite a dramatic increase, can continue to perform spectacular bloodshed in US air strikes against President Donald Trump.